Below you can view all the homes for sale in the Darrell Creek subdivision located in Mount Pleasant South Carolina. 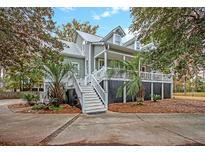 Listings in Darrell Creek are updated daily from data we receive from the Charleston multiple listing service. To learn more about any of these homes or to receive custom notifications when a new property is listed for sale in Darrell Creek, give us a call at 843-306-2224. The split plan has the master suite on one side of the home with walk-in closet and custom built-ins, large MLS#19007932. Palmetto State Properties & Associates Llc. The gorgeous kitchen features upgraded stainless appliances, gas cook top with stylish hood, contemporary granite counter tops, under cabinet lighting, and large center island with a farmhouse sink and charming pendant fixtures. Connect MLS#19007340. Charleston Flat Fee Real Estate. A butlers pantry connects the dining room to the kitchen and provides an out of the way place to MLS#19005588. Carolina One Real Estate. The living room boasts dual ceiling fans and a fireplace, while the dining room features tasteful wainscoting and showcases the gorgeous heart pine floors that are found throughout this home! MLS#18033288. Re/Max Alliance. Don't miss the opportunity to live in this beautiful residence! MLS#18030848. Crescent Homes Realty Llc. There are four additional Bedrooms upstairs with a large Game Room and two additional Baths. MLS#18026763. Crescent Homes Realty Llc. The Drake II includes many special features with a downstairs Master bedroom, a separate Dining room and Study and a large Kitchen with expansive Island that overlooks the Family Room. MLS#18026409. Crescent Homes Realty Llc. and Tray Ceiling in the Master Bedroom. MLS#18026396. Crescent Homes Realty Llc. This home will have a beautiful Gourmet Kitchen with an expansive island that overlooks the family room. MLS#18026344. Crescent Homes Realty Llc. This is your chance to dream and design with an award winning builder!We are building on a beautiful private half acre home site, with majestic oak trees and pines carefully selected to border the property. MLS#17023965. Bhhs Carolina Sun Real Estate.